Several weeks ago, my wife, Janet, and I were having dinner with another couple. One of the women was convinced her partner, Mary, (name changed to protect privacy), had obstructive sleep apnea, (OSA). Mary snored loudly and seemed to stop breathing at different points during the night. When I asked Mary about her thoughts and/or concerns related to what her partner was saying, Mary answered that she really wasn’t worried. According to Mary, in all that she’d read about OSA and its related risks, there was nothing she saw that indicated sleep apnea was fatal. Consequently, Mary ruled out participating in a sleep study to diagnosis sleep apnea. She also had little interest in discussing OSA treatment options. Mary summed up her sleep challenges with, “I’ve gained weight over the past year or so. I have to lose that weight and I’ll be fine again.” Even when her partner suggested that Mary temporarily use a sleep apnea treatment mask until she lost the weight, Mary wasn’t interested. Why not? Because Mary was convinced that OSA wasn’t really harmful. I hope one day before suffering possible severe consequences, Mary reconsiders her decision, gets tested for OAS, and if necessary, consents to receiving treatment for this potentially life-threatening condition. Sleep apnea is a chronic disease that happens while we sleep. When we have OSA, we actually stop breathing for 10 seconds or longer. The lack of breathing or apnea can occur 5 to an incredible 100 times per hour! For clarification purposes, more than 30-40 apneas per hour is considered severe. Sound serious? If you’ve answered yes, you’re correct. The most amazing thing is that despite waking so frequently throughout the night, people with OSA have no idea their sleep is being interrupted! OSA occurs due to a narrowing or blockage of the airways in one’s nose, mouth or throat. Generally speaking, when we sleep our throat muscles and tongue relax and completely or partially block our airway. As a result, air is prevented from getting into the lungs. Now for the punch-line. We know the what’s and why’s of OSA. But, is it fatal? Well read on and draw your own conclusions please. Friends, OSA is no small or joking matter. It should without a doubt be taken seriously. And, please don’t think it’s the other guy who has OSA, but not you. According to very recent data analysis presented at the American Thoracic Society 2018 International Conference, nearly 1 billion people worldwide have sleep apnea!¹ Who gets OSA? People of all ages, ethnic and racial groups, states of health, and genders are vulnerable. OSA – What to Do? If you think there is any possibility you have OSA, (rumor has it that anyone who snores has OSA), please talk with a physician. They can order a sleep study test which can be done in a special sleep lab or even in your own home using a portable device. 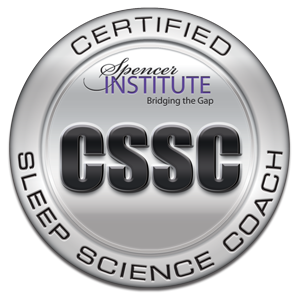 If you have any questions regarding sleep apnea or my Back-To-Sleep sleep-science coaching programs including Total Sleep Transformation, please comment here or contact me privately at susan@back-to-sleep.com. I’m happy to respond to all questions and sincerely wish you optimal sleep and health. Please feel free to pass on this article to anyone you know who may suffer with OSA or other sleep challenges.